There is a lot of talk about the importance of innovation in policing. Indeed, it is the topic of the Police Foundation’s forthcoming annual conference. In 1935, a house fire on Wimpole Street, London killed five women as onlookers desperately tried to reach the fire brigade by phone. Neighbours were so outraged at being held in a queue at the Welbeck telephone exchange that they wrote a letter of condemnation to The Times. Two years later, the world’s first emergency services number – 999 – was born, bringing about 80 years of rapid-response policing and countless lives saved. We most often conceptualize innovation with a sense of novelty; that it’s a supplement to our day-to-day practices and processes. This is a mistake. Every tool, system and procedure you use today was, at some point, a critical innovation that changed the nature of your work. Innovation is the bedrock of policing as we know it today and is the only viable solution to a crime-free future. Simply having more of what we have already is not enough. Unprecedented budget cuts have caused waves of change throughout the UK. They have caused increased pressure at an organisational level that will only be passed on to individual officers as they race to cover the gaps. 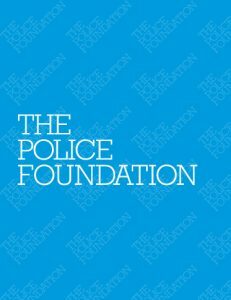 A 2018 House of Commons Library Briefing paper reports that policing numbers are at their lowest since 1985. Doing more with less has become the new norm for officers across the country. Innovation systems offer an avenue to think our way around resource deficits, opening up new opportunities for collaboration, automation and streamlining. Innovation-focused technology and systems allow for not only top-down, leadership-led approaches but also facilitate grass-roots innovation by those closest to the challenges that austerity creates. This helps us to build viable, nationwide solutions using the critical insight of the police workforce that can save hundreds of thousands. Robert Peel’s founding principle of prevention is embedded within a vision not simply for better service and faster response, but for broad cultural change. Crime prevention is a community responsibility for which the police are a catalyst, helping to manage transparency, educate the public, deter offences and make people feel safe and valued. To make these changes, police forces need to share the ground-level interpersonal knowledge police officers establish through constant interaction with their communities. At their core, innovation systems are about officers using their acumen to help colleagues do their jobs better, helping to keep both them and the public safer. To explore all of this in greater depth, Idea Drop is extremely proud to be invited to the Police Foundation Annual Conference to deliver an in-depth session on innovation management in policing. Following some great outcomes from our work implementing hundreds of innovations across Kent, Derbyshire and the Met Police, we’re excited to share some unique insights into our approaches with the wider Police community. – Success stories and case studies. This comprehensive overview will arm attendees with the ‘hows’ of innovation, offering practical takeaways that they can begin to implement right away. If we’ve convinced you that innovation is a priority, make sure you join us on the 24th of October to learn the strategies other police forces are using to beat austerity and get results. Book your place today. Owen Hunnam is CEO and co-founder of Idea Drop which uses digital technology to help large organisations innovate by harnessing the collective intelligence of their employees.